U.S. history books have generally glossed over the crimes the U.S. government has perpetrated against Native Americans. Although some of the early colonies practiced peaceful and fair dealings with the Native Americans (see William Penn's 1682 Province of Pennsylvania and Roger Williams 1641 Province of Rhode Island), they were exceptions, not the rule. Other colonies and later states created treaties with the Natives that were broken, or took advantage of the language barrier to steal their land or otherwise defraud them. Examples include the Canandaigua Treaty of 1794 and Treaty K, signed during the Gold Rush, which California officials avoided keeping by pressuring the U.S. Senate to refuse ratification during the Gold Rush for the sake of monetary gain. In some cases the early British colonists even gave the Natives smallpox-infected blankets or poisoned their drinking water to kill men, women, and children indiscriminately. The radically Christian Quakers would prove the primary opponents of slavery throughout early America, figuring prominently in William Penn's Province of Pennsylvania. Christian churches played a prominent role in the Underground Railroad, just as they would do so a century later during the 1950s-60s civil rights movement. The Quakers were the earliest to assist escaped slaves in gaining freedom, with George Washington complaining they had attempted to liberate one of his slaves, but numerous other denominations were involved in the Underground Railroad as well. It was not just whites who enslaved blacks, but blacks who enslaved whites. The Barbary Wars occurred because three North African Muslim nations, Tripoli, Tunis, and Algiers used their navies to hijack U.S. ships at the beginning of American history when it did not have a navy. Treaties with the three Islamic countries made at the time all show how much influence they held in the bargaining process. Nonetheless, the treaties were broken, resulting in the First and Second Barbary Wars to stop the enslavement of white Americans for the African slave trade. Medgar Evers: 1963, June 12. A civil rights activist and head of Mississippi's NAACP, he was assassinated by Byron De La Beckwith. Beckwith would not be convicted until 1994 at age 80 after two previous trials failed as the result of the Mississippi Sovereignty Commission helping him screen out potential jurors. JFK Begin Campaign for 1964 Election: 1963, November 12. On November 12th, JFK held his first important political planning session for the upcoming 1964 campaign. On November 21st, he and the First Lady left for a two-day, five-city tour of Texas. John F. Kennedy: 1963, November 22. Kennedy was assassinated just 10 days after beginning his political campaign for the 1964 election. He was assassinated in Dallas, Texas by an unknown gunman. Kennedy would die at Parkland Memorial Hospital at 1 p.m. According to Jacqueline Kennedy in a 1964 interview, John F. Kennedy had recently been discussing with his brother, Robert Kennedy, ways to keep his rival, Lyndon B. Johnson, who he disliked, from becoming the Vice President in the future, just before the assassination. It appears that LBJ, aware he would be passed up in the upcoming 1964 election and not selected for Vice President, chose to have Kennedy assassinated to advance his own political career. Lee Harvey Oswald: 1963, November 24. The alleged gunman responsible for Kennedy's death, Lee Harvey Oswald, was assassinated at point blank range by Jack Ruby while being transferred from police headquarters to the county jail. He too would die of his wounds at Parkland Memorial Hospital. Ruby claimed that he assassinated Oswald to spare Jacqueline Kennedy the grief of testifying at his trial. Jacqueline Kennedy, as mentioned, was aware that both JFK and his brother Robert Kennedy were opposed to LBJ's selection as Vice President, so Oswald had to die to prevent Jackie Kennedy from testifying and exposing LBJ. 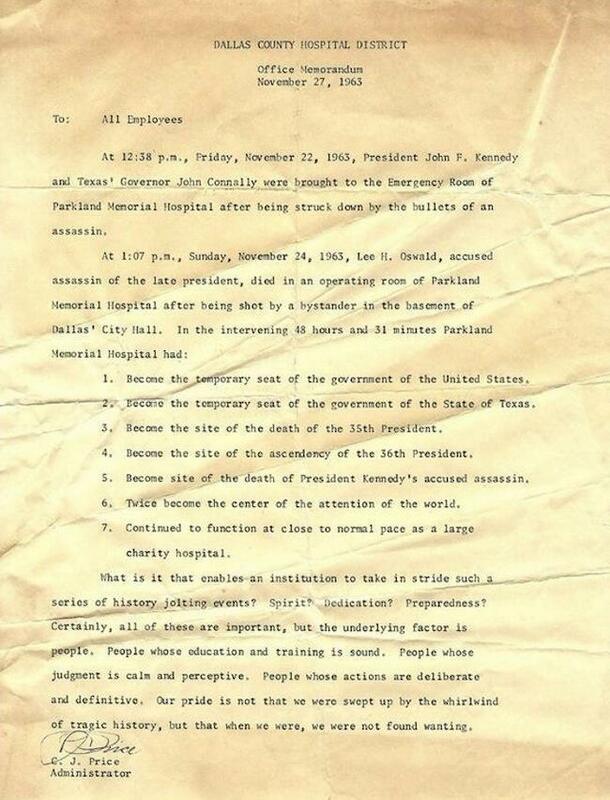 Suicide Letter Sent by FBI to King: 1964, November 21. The FBI, headed by J. Edgar Hoover, sent King a letter urging him to commit suicide. Malcolm X: 1965, February 21. Malcolm X's assassination is the only assassination during the Johnson administration which does not appear to have been perpetrated by Lyndon B. Johnson. Malcolm X had helped popularize the Nation of Islam, whose leader Elijah Muhammad grew the movement by recruiting federal prison inmates while incarcerated at the Federal Correctional Institution in Milan. The Nation of Islam advocated black supremacy, segregation of whites and blacks, and rejected the Civil Rights Movement's emphasis on unity and integration. However, Malcolm X in March, 1964 (the same month that he met Martin Luther King Jr. on the floor of Congress) left the Nation of Islam and expressed regret for having joined them. Less than a year later he was assassinated by three Nation of Islam members in February, 1965. The only gunman caught, Talmadge Hayer, insisted that the others involved were not Norman Butler and Thomas Johnson, yet Butler and Johnson were railroaded and spent decades in prison. Jack Ruby: 1967, January 3. Ruby, the assassin of Kennedy's alleged assassin, was killed just before the start of a second trial by the Texas Court of Appeals challenging his recent death penalty verdict. George Lincoln Rockwell: 1967, August 25. Rockwell, founder of the American Nazi Party, was ironically anti-war, capitalist, and in support of black supremacist groups like the Nation of Islam (although ironically only because he opposed desegregation also). In July 1958 he protested President Eisenhower's decision to send troops to the Middle East. Apparently unaware of the self-contradicting irony of his position, he founded the World Union of Free Enterprise National Socialists (WUFENS) for socialists who oppose state ownership of property. He also donated in support of the Nation of Islam and endorsed its leader, Elijah Muhammad. Rockwell was assassinated by John Patler, who had recently been expelled from the American Nazi Party. Patler, ironically, was expelled from the party for holding "Bolshevik leanings," all because of Rockwell's ignorance and unawareness that the "National Socialist Party" is left-wing to begin with. To see Rockwell's sincere yet seriously confused ideology on display, see his pamphlet, "How to Get Out or Stay Out of the Insane Asylum." Martin Luther King Jr.: 1968, April 4. Less than a month after the FBI report, King was assassinated by James Earl Ray, who shot him with a rifle while he was standing on the second floor balcony of his motel. James Earl Ray was framed for the murder after his appointed defense lawyer coerced him into a false confession which he recanted three days later. Although a Tennessee court ruled in 1999 that Lt. Earl Clark was the real killer and Loyd Jowers was part of a coverup by the Mafia and U.S. government to kill King, the FBI refused to investigate. Fred Hampton: 1969, December 4. Like King, Hampton, an influential activist in the NAACP and Deputy Chairman of the Black Panther Party, was assassinated following his wiretapping by the FBI. The FBI opened a file on him in 1967 and began tapping his mother's phone in February 1968. The FBI's Chicago office had William O'Neal infiltrate the Black Panther Party to become Hampton's bodyguard and Director of Chapter security, using him to create violent conflicts between the Black Panthers and other groups. Hampton was about to be appointed the Chief of Staff and primary spokesperson for the Black Panthers when he was murdered by the FBI and Chicago Police, who had him drugged with barbiturates so he couldn't resist when they raided his apartment and killed him and his security detail in cold blood. In 1982 the federal government, city of Chicago, and Cook County agreed to a $1.8 million settlement reimbursing nine plaintiffs which included Hampton's mother. Not only King, but numerous other prominent figures related to the civil rights movement were assassinated over a 7-year period that corresponds perfectly with Democrat President Lyndon B. Johnson's administration (1963-69). After then-Attorney General Robert Kennedy approved the wiretapping of King on October 10th, 1963, his brother John F. Kennedy was assassinated less than two months later. That Kennedy's assassination was part of a wide-reaching coverup is evident from the fact that Kennedy's alleged assassin, Lee Harvey Oswald, was himself quickly assassinated by Jack Ruby, with Ruby himself assassinated on January 3rd, 1967. All three were assassinated and died at the same hospital, Parkland Memorial Hospital in Dallas, Texas. Robert himself would be assassinated five years later on June 5th, 1968. ↑ 42.0 42.1 Lewis, Danny (2016, May 27). "Five Times the United States Officially Apologized." Smithsonian Magazine. ↑ 45.0 45.1 45.2 Office of the Historian. "The Philippine-American War, 1899–1902." U.S. Department of State. ↑ 53.0 53.1 Nichols, David A (2007, September 12). “Ike Liked Civil Rights.” New York Times. ↑ 56.0 56.1 Sit, Ryan (2018, January 15). "Here's What the FBI Had on Martin Luther King Jr." Newsweek. ↑ 58.0 58.1 Phillips, Kristine (2017, November 4). "In the Latest JFK Files: The FBI's Ugly Analysis on Martin Luther King Jr., Filled with Falsehoods." Washington Post. ↑ 59.0 59.1 59.2 "JFK History: November 22, 1963: Death of the President." John F. Kennedy presidential Library and Museum. ↑ 60.0 60.1 Associated Press (2011, September 11). "John F. Kennedy Scorned Idea of Lyndon Johnson as President, Jacqueline Kennedy Said." NOLA Media Group. ↑ 61.0 61.1 Tikkanen, Amy (2018, January 18). "Jack Ruby, American Assassin." Encyclopaedia Britannica. ↑ 63.0 63.1 Stewart, Alicia W. & Escobedo, Tricia (2014, April 10). "What You Might Not Know About the 1964 Civil Rights Act." CNN Politics.